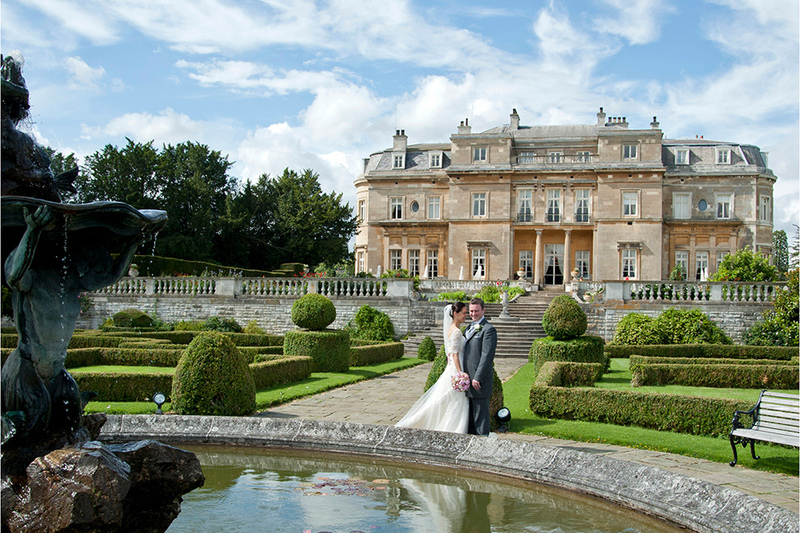 Luton Hoo Hotel is a stunning Grade I-listed mansion standing proudly in 1,067 acres of grounds. The five-star hotel is conveniently located in the Luton countryside, a short distance from Luton airport. 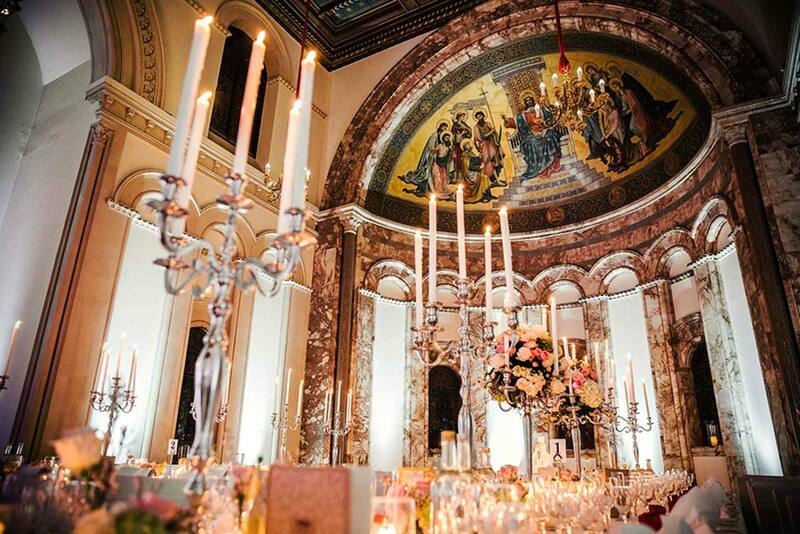 Its luxury interior boasts history and grandeur, with its period rooms and striking features. 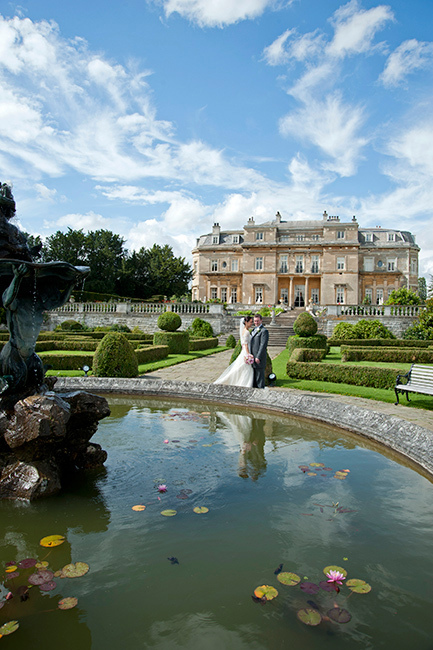 One of the most romantic settings for your day in the whole of Bedfordshire. 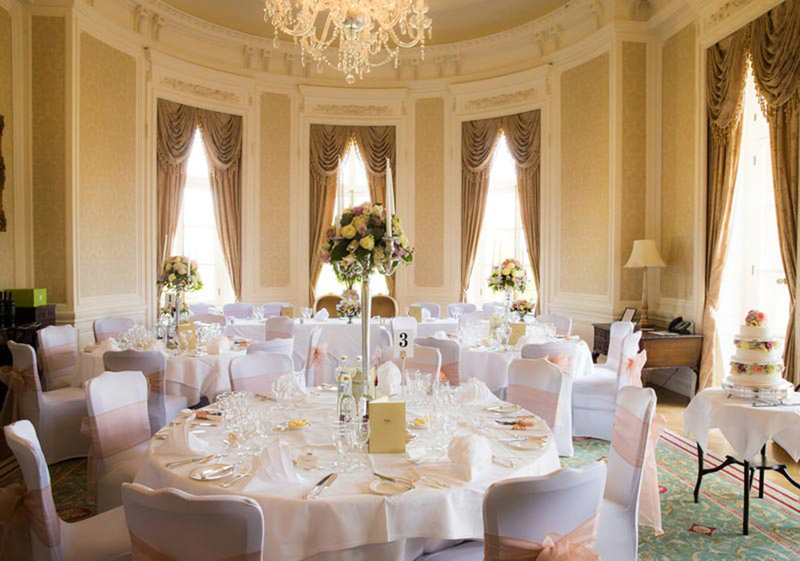 Luton Hoo offers 17 luxury suites for you to choose to host your ceremony, breakfast and evening reception as well as a devoted wedding team on hand. 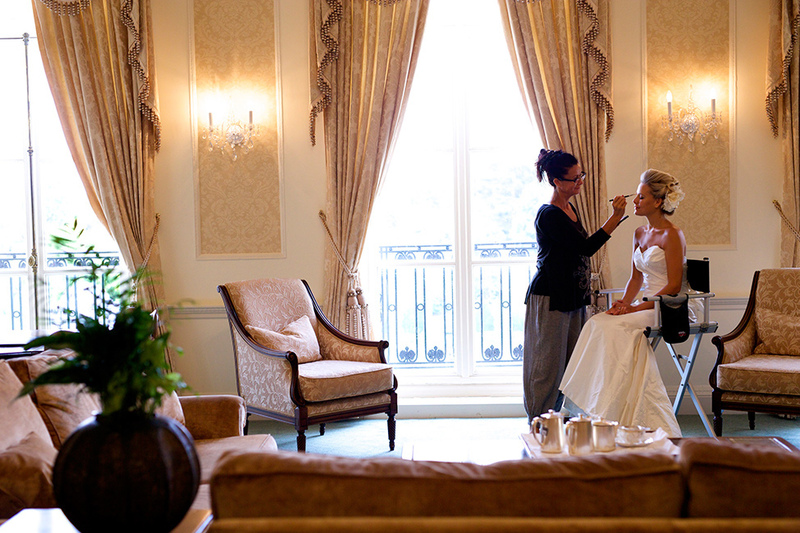 They can offer a bespoke day for you to remember. The mansion house that stands here today dates back to the 18th century and has been owned previously by a former prime minister to George III. In 1907 the interior was redesigned by the very architects who designed the Ritz in London. The mansion has been visited by many people of power including Winston Churchill and our very own Queen Elizabeth II and the Duke of Edinburgh who have celebrated their early anniversaries here. In 1999 it was bought by elite hotels and transformed into a luxury 5-star hotel that stands today and hosts hundreds of weddings. 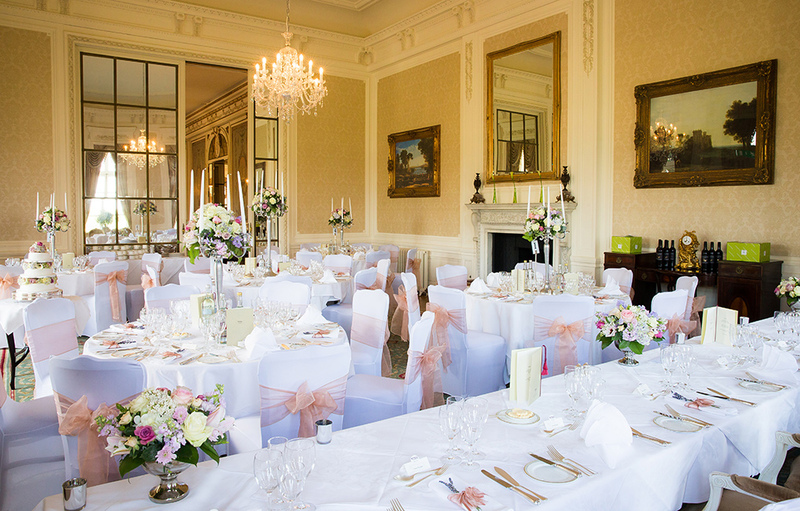 The Mansion House, surrounded by perfectly manicured lawns and gardens at the end of a sweeping drive is a stunning place to host your day. It offers a choice of 17 suites, each with its own original features. The most unique is the Romanov Suite which was formally a Russian Orthodox chapel, holds many of its original features. Its lavish domed ceiling with stained glass panels gives a religious feel to the room. Another popular room located in the Mansion is the Fabergé Suite. 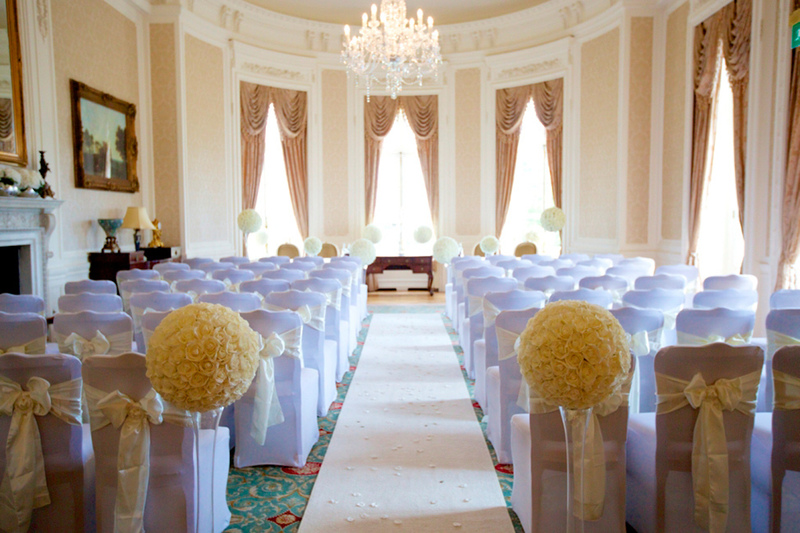 The room's beautiful pillars and alcoves give the room a sense of grandeur. It is also home to a beautiful artwork collection reflecting on the time the mansion was home to a large Fabergé egg collection. Nestled in the many acres of the mansion grounds you can find Warren Weir, an exclusive venue. 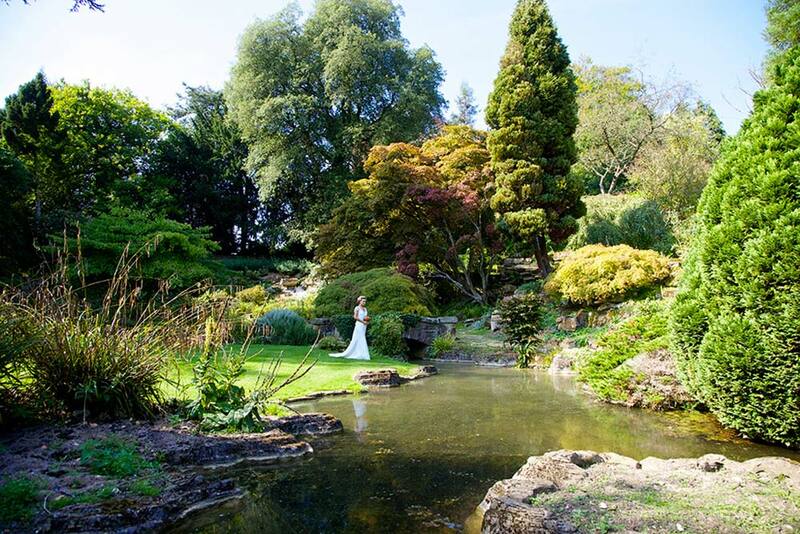 Its beautiful location is surrounded by woodland, water meadows and a stunning late and makes for a perfect wedding retreat. Find out more about Warren Weir in their listing, here. 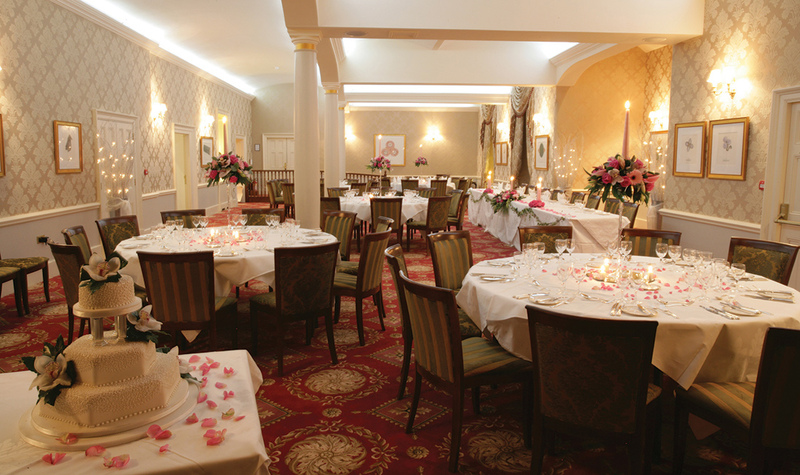 The chefs at Luton Hoo specialise in fine dining and offer a range of exquisite menus for a traditional three course wedding breakfast meal. For your evening reception, a delicious finger buffet will be prepared for your guests. There is also an option to have canapés. Click here for a sample menu. 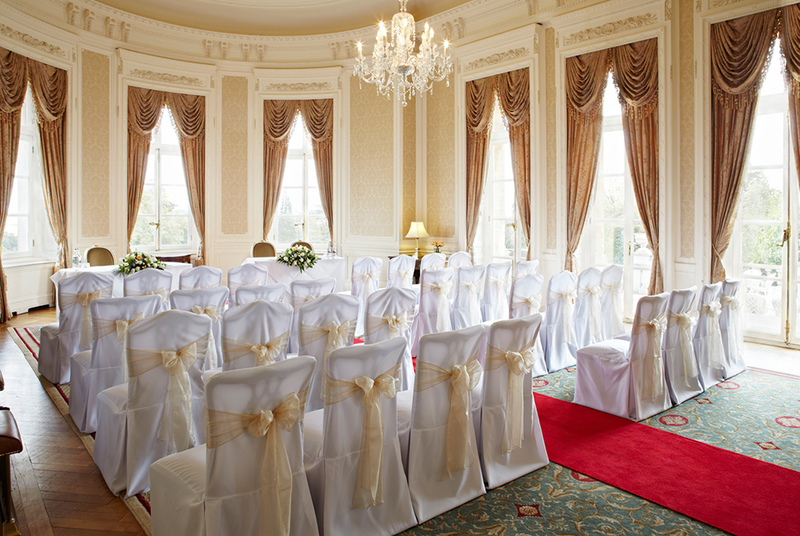 The hotel Mansion offers 228 bedrooms, most of which have stunning views of the mansion's grounds. 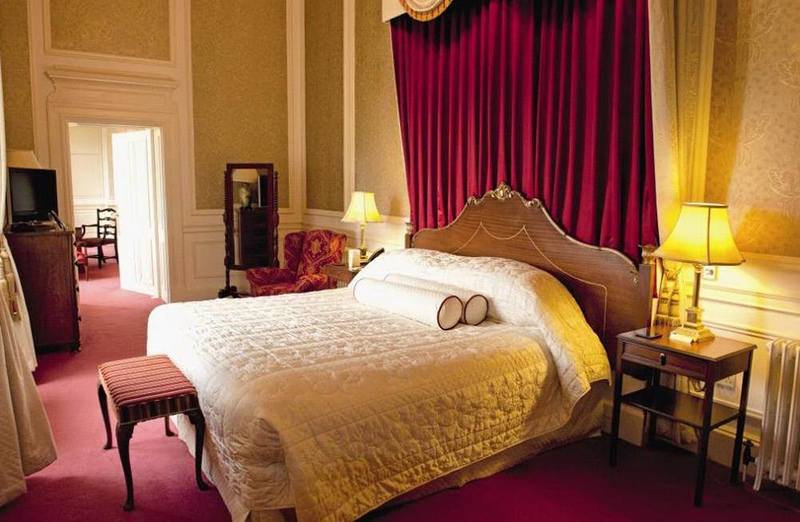 Each have a fabulous interior with historic features, making you feel like royalty. The Parkland Wing has 38 rooms and suites to choose from each equipped with the highest standard. The Club House is built into the grade II-listed Robert Adams Stables, and has 12 bedrooms with rustic features such as oak beams and vaulted ceilings. 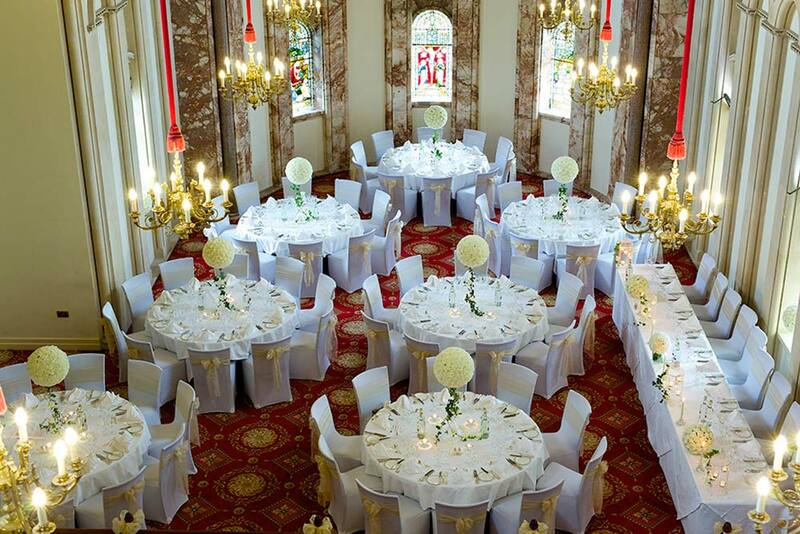 To contact the team and find out more about Luton Hoo Hotel click the contact buttons above and below this listing. 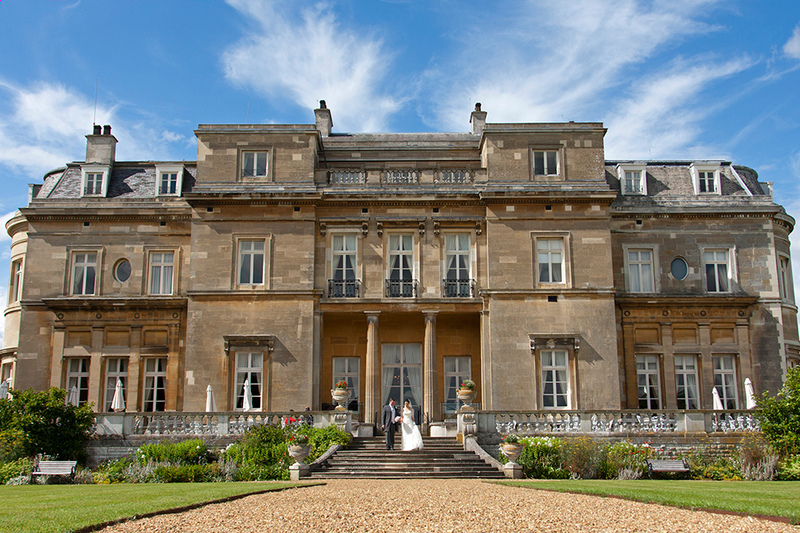 Having contacted several other "unhelpful" venues for our wedding, we spoke to Luton Hoo and arraged a meeting with Janet for a show around. 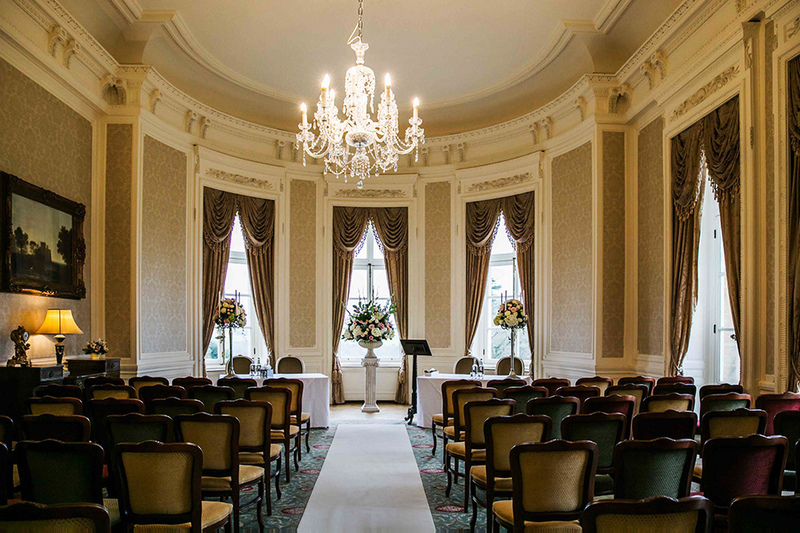 As soon as we drove up the long drive to the Mansion House, we had a good feeling this was going to be perfect for us, and after the show around we had decided not to look anywhere else, and we booked for our wedding venue. From then on, Janet guided us through everything we needed to think about, arrange & book ready for our big day. On the day itself, Ebony & staff looked after both of us, and the day could not have gone any better, we didnt have to worry about anything, nothing was to much trouble, and we wernt made to feel like we were rushing to fit a time schedule, it was a calm relaxed day. 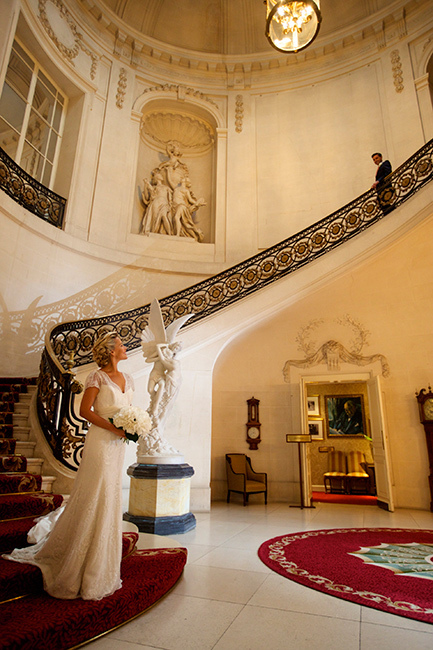 Now looking back, we are so pleased we booked Luton Hoo for our venue, it has given us some great pictures in both the gardens, and the old Mansion House, and many happy memories. We cant wait to go back! 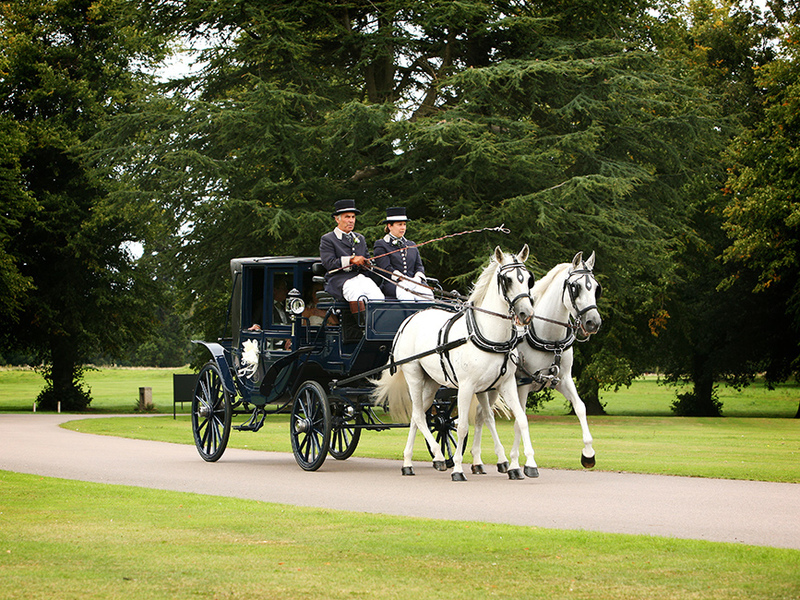 Anyone who has visited Luton Hoo will know what a spectacular place it is. Having our Wedding Day here has been a dream come true. We are over the moon with our special day and how everything came together. The planning process was made much easier by the reassurance Janet gave us and she was always contactable whenever we needed her. 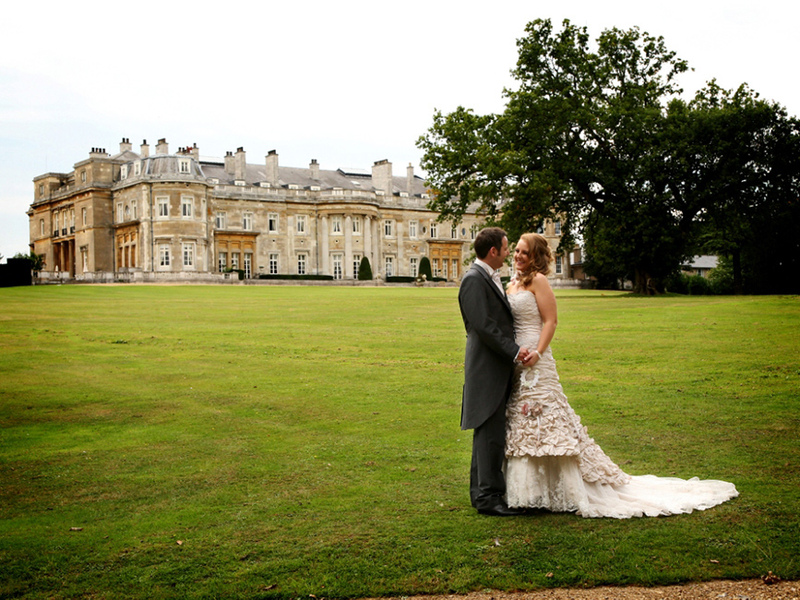 We love Luton Hoo and we were so proud to show it off to our friends and family. When we met Bobby for the first time, we knew that we wanted him to run the day, and he and the team did not disappoint. He was attentive and filled us with confidence that everything was in hand. Our guests spent the day telling us what a wonderful time they were having - what more could we want. 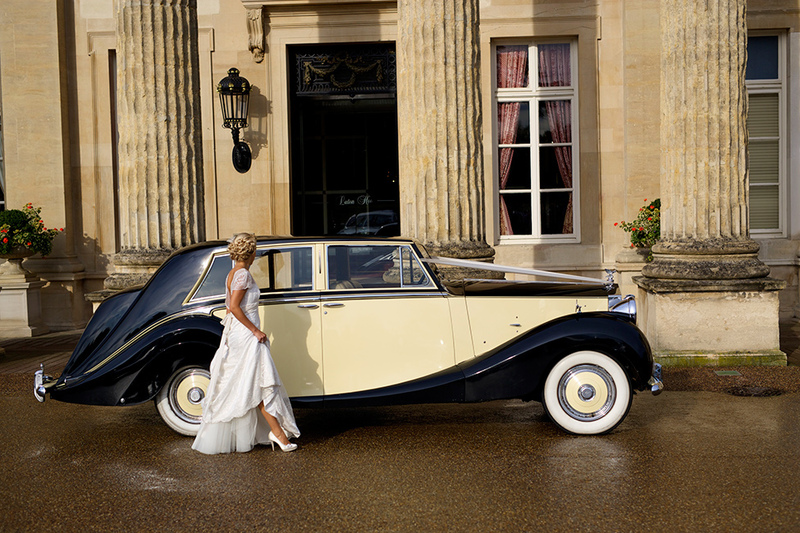 We will be coming to Luton Hoo for many more years to come. It has always been a special place for us - even more so now. It was the happiest day of our lives (so far!) and we are still on cloud 9. We want to thank everyone for what they did to make our wedding day such a wonderful experience. 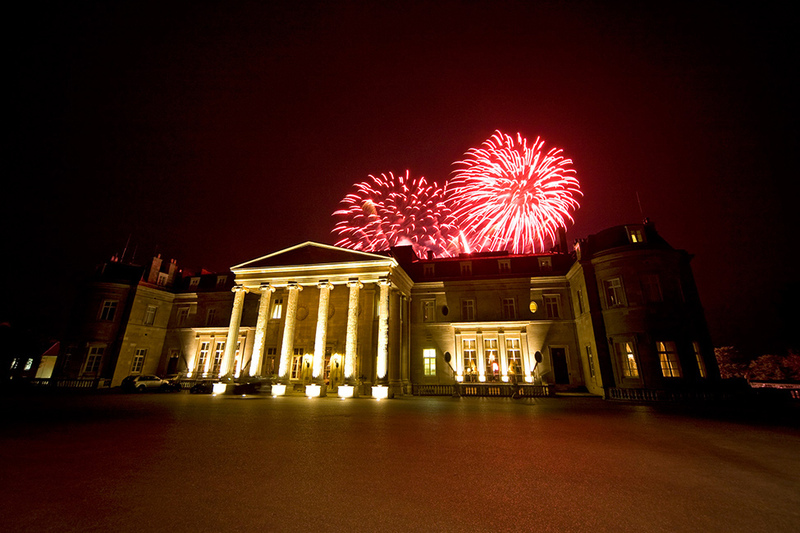 Let others know what you think of Luton Hoo Hotel, Golf and Spa by giving a star rating and a small review.